TORRANCE, Calif., Jan. 15, 2018 – The all-new 2018 Honda Accord, the 10th generation of America’s most popular car, has earned the prestigious 2018 North American Car of the Year award. 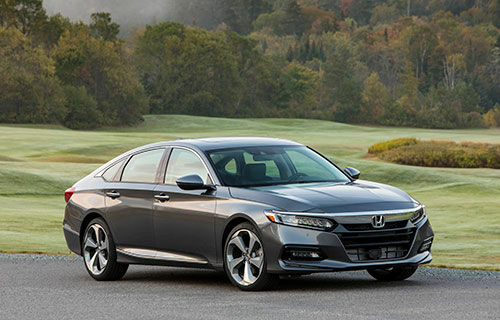 Accord’s win marks the third consecutive year that a Honda model has received top honors from the North American jury of automotive journalists, with the Honda Civic and Honda Ridgeline winning the car and truck awards in 2016 and 2017, respectively. This entry was posted in Accord Articles on January 21, 2018 by Administrator.